Boston, Austin among “greenest” cities in the U.S.
National Geographic ranked the 25 greenest cities with populations over 100,000 based on surveys it received from the cities’ citizens. 3 of the cities are in California, the state with the greatest population. 1. Eugene, Oregon (pop. 137,893)- Renewable energy supplies 85 percent of the city’s power. Eugene also has an extensive wetlands program. 2. Austin, TX (pop. 656,562)- Austin is very committed to solar power and was recognized for its green builder program. 3. Portland, OR (pop. 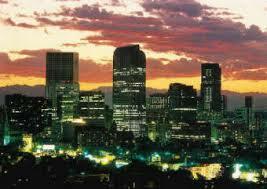 529,121)- Portland was recognized primarily for its green building and excellent public transportation. 4. St. Paul, MN (pop. 287,151)- St. Paul was recognized for its significant greenhouse gas reductions and has affordable housing. 5. Santa Rosa, CA (pop. 147,595)- Santa Rosa was recognized for its green building program, clean air and water and for its bicycle paths and lanes. 6. Oakland, CA (pop. 399,484)- Oakland was recognized for its local food production, its green building ordinance and its public transportation. 7. Berkeley, CA (pop. 102,743)- Berkeley was recognized for its green building requirements for muncipal construction, its well used public transportation system, and its community gardens. 8. Honolulu, HI (pop. 371,657)- Honolulu was recognized for its clean air and water, biomass power generation and green building standards. 9. 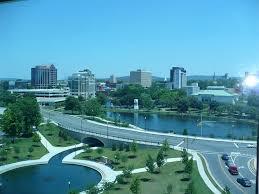 Huntsville, AL (pop. 158,216)- Green space makes up one-third of the urban area. It was also recognized for its high use of public transportation and its excellent public education program. 10. Denver, CO (pop. 554,636)- Denver was recognized for Greenprint Denver, the city’s sustainability initiative, its clean water and access to wilderness, and its large hybrid municipal fleet.